Interested in joining the Carlisle Swim Club? 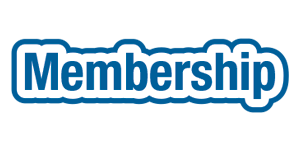 While we have a limited number of memberships available, we do currently have openings for new members! Once we receive your application and payment, we will contact you to let you know when your membership cards will be available for pick-up. Feel free to let us know if you have any questions! Family – The family membership is available for parent(s) or guardian(s) and any of their unmarried children 22 years of age and under who are residing in the same household. Children under the age of 2 on May 1, 2019 are free and not included in the family count. Children over the age of 22 can be included so long as they are dependent, unmarried, and qualify as full time students. Cousins, nieces/nephews, grandparents, grandchildren, aunts/uncles, babysitters, roommates, etc. are NOT eligible for inclusion in a family membership. Individual: Covers a single adult age 18 or over. You are also welcome to make your membership payments online. Applications can then be either mailed in to the above address, or scanned in and e-mailed to: carlisleswimclub@gmail.com. Dues are payable by May 1, 2019. Resignation from membership does not relieve the annual dues obligation unless such resignation has been submitted in writing and received by the Secretary of the Board of Directors prior to the Opening Day of the pool, the Saturday of Memorial Weekend. A late fee of $50 will be charged to those accounts not paid in full by May 26, 2019. Looking forward to a great summer!